Over the last few months we have been working tirelessly to bring you a brand new and improved Mobilize. 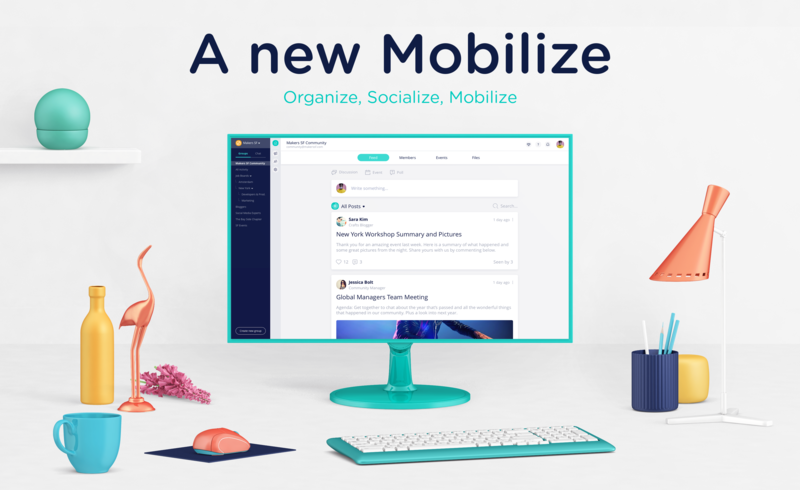 We've taken in all of your suggestions and created a release that will make your experience using Mobilize even better. Check out our latest webinar where we go through the new experience. First, we separated the manager and member views so that managers can have a special area with a set of tools to manage their community. We have added an exclusive space for your members to interact with one another called the Lounge. In addition, your manager specific communications now has its own home in the Outreach Center. The lounge is a space for your members to meet each other and network, get access to the community's resource center, attend community events, engage with polls, share ideas and so much more. 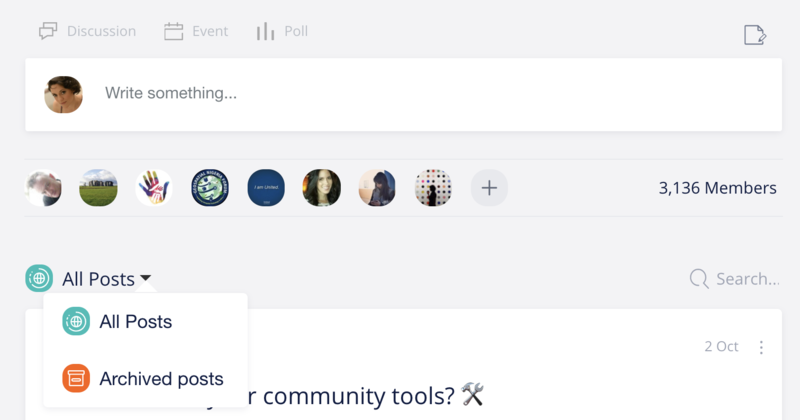 You can add photos, animated GIFs, upload files, and share links to engage your members and create a thriving community. All the posts that are created in the lounge are visible to everyone. This means that when you create a post the "all group" function is set by default, making the lounge a space for everyone to catch up on all activities (For personalized and segmented communications you can use the Outreach Center - see below). As a manager you can also use drafts to plan ahead, edit and tweak your posts before posting in the lounge. For now you can always use the Outreach Center to schedule Email Blasts, Meeting Invites and Text Messages. You may be wondering where some of your former discussions posts are. If you had discussions and polls targeted to specific members, as opposed to "All Group", we have put them in the archived section where you and your specific recipients can access it. The main feed is now public to everyone. Any posts that were private for only specific people we kept in the archive. If you'd like to create posts to specific people you can now do that in the Outreach Center. You can still continue the conversations in the archived posts as usual, it's just not located in the Lounge "All Posts" feed. Your members can access the redesigned directory with detailed member cards and highlighted CTAs to chat and connect with one another. You can choose what information members can see about each other by editing the member cards in the Members section, making it easier for your members to connect. For managers who want to access a more advanced view, with smart filters, we created the Member Database (see more info below). The Events tab - We have completely redesigned the event page and made it a lot more social by allowing members to see who is attending and by highlighting event details. It was also difficult to find the past events in the old version, so now you can see them in a tab view and navigate easier between each view. The Event Page - We redesigned the event page to highlight and improve engagement. Inside the event page you can still create new discussions that will stay in the context of that specific event. Currently you cannot follow up based on activity in the event page, but we're on it! Will be released soon. We redesigned the files section, making file types more accessible to find. You can still add and share files with your group, have your members access them easily and track their downloads. Wanted to see them in a folder? We know! We are planning to make this section more and more accessible for you and your members. Updates will be announced soon. All messages can be sent to the everyone or targeted with smart segmentation and personalization with animated GIFs, images, links, CTA buttons and merge tags. All communications can also be saved as drafts or scheduled to a specific date you choose. To make life easier you can now see all of your analytics from one simple place and use them to follow up with the right members quickly. You can follow up with Email Blast, Meeting Invite, Text Message, or Add to Group. The Outreach Center is also your shared inbox for you and your fellow managers to keep track of all sent or scheduled communications to your community. As a manager you can view, edit and reschedule other manager's communications - making collaboration a breeze. The Member Database is your place to own, organize and manage your community members with advanced features, filters and actions. Who unsubscribed from lounge activity. Who unsubscribed from managers communications. You can also use the Member Database to segment your members based on their data and create a targeted communication through the outreach. You can create non-social groups by turning off member visibility. Adjust your group default notification settings. Special Manager posting powers in the lounge - As a manager you can choose whether you'd like to post to the feed only (without email notifications) or post with instant email notifications - this function is connected to the new "manager announcements" option in the email notification settings for both members and managers. We made a brand new Member help section with FAQs, best practices and tutorial videos to help your members make the most of the platform. The help center is not branded so it looks like a part of YOUR community. Members can find the help center - marked as a question mark (?) link at the top of the screen. Individual Member Preferences - No login required! Now members don't have to log onto the platform in order to adjust their settings. They can modify their subscription settings by clicking a link in the footer of any email they receive and be taken to a screen where they can set their preferences directly.